We have just released our first CD! Click on the CD cover for details. The Rosewood Chamber Ensemble is in its seventh season of entertaining audiences with their programs based on the music and people of the early United States. The Greater Boston Flute Association wrote about their Boston concert, "The pieces were played with great style and joy, resulting in a captivating performance." An appealing element of every concert is the background stories they tell about the periods, historical figures, music, and instruments they use. Barbara plays these concerts on historical flutes, including wooden Asa Hopkins flutes, made in Litchfield, CT circa 1830. Judy enjoys performing on her nineteenth century Martin “Parlor” guitar that is the same model that was owned and played by Mark Twain. 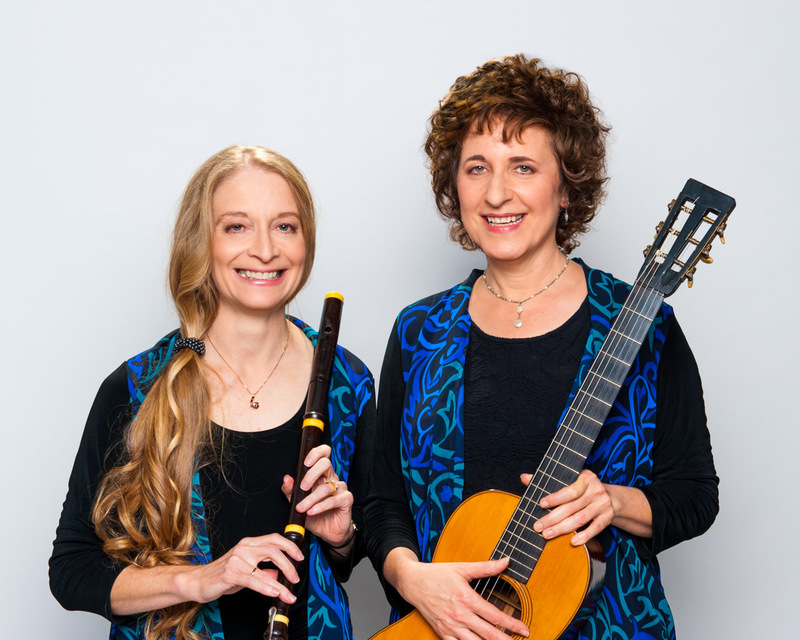 Barbara and Judy have taken their unique blend of musicality, humor, and scholarship to many notable venues including the Adams National Historical Park, Yale Collection of Musical Instruments, Litchfield Historical Society, and the National Flute Association Convention. The high quality of their programs has earned them membership on the Connecticut Office of the Arts Performing Artists Roster and four grants from the Evelyn Preston Memorial Trust Fund. Their first CD, Songs and Dances of Early America, was partly funded by a grant from the University of Connecticut School of Fine Arts. Their repertoire ranges from familiar Stephen Foster songs and lively dances of the eighteenth and nineteenth centuries to the classical music beloved by John Quincy Adams and Thomas Jefferson. 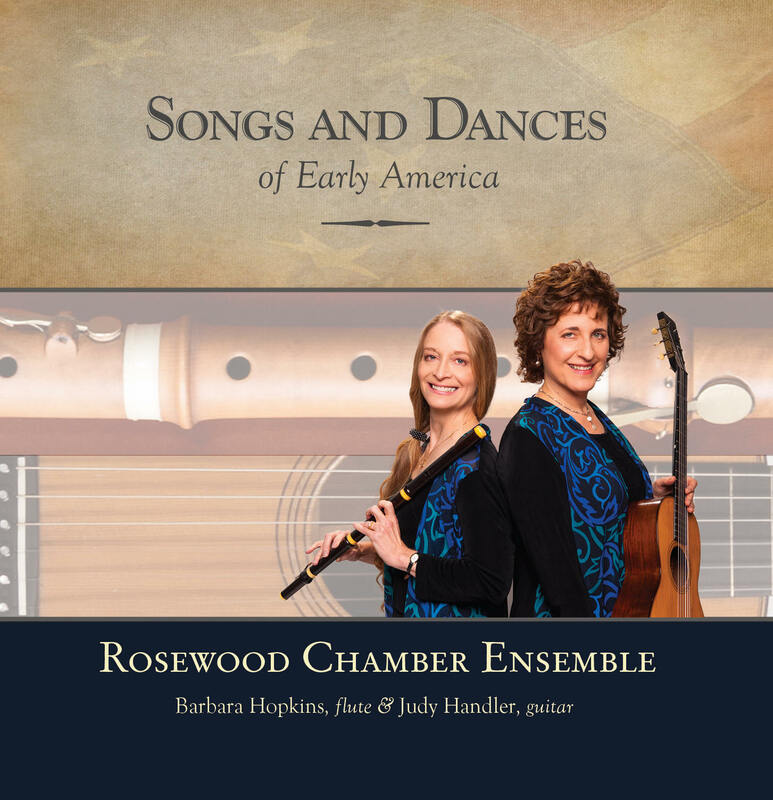 Award winning flutist Barbara Hopkins is a cousin of the early American woodwind maker Asa Hopkins, who lived and worked in Litchfield, Connecticut. A member of the Hartford Symphony Orchestra and flute and chamber music faculty at Hartt Community Division, she moved to Hartford to play in the Symphony, having no idea that Asa Hopkins existed, or that her ancestors were from Hartford. She has "come home" in a way she never dreamed of. She has released three CDs including Telemann Methodical Sonatas, Vol. 1, Short Concert Pieces for Flute and Piano, and Andersen Etudes, opus 15. Flute Talk recommends her Andersen CD, writing “Hopkins plays these virtuoso etudes with taste and a technical ease that many students work for years to never achieve.” The Flute Network praised her Telemann recording as, "full, rich, and highly musical," and the best selling Short Concert Pieces disc was partly funded by a grant from the Hartt Community Division Faculty Development Fund. She has her Doctor of Musical Arts degree from Stony Brook University, and is using the research skills she developed in her doctoral studies to find scores of nineteenth century American music. Barbara has been a top prize winner in the National Flute Association Competition and the New York Flute Club Young Artist Competition, and was awarded a fellowship to Tanglewood Music Center, where she had the honor of playing principal flute under Leonard Bernstein. She earned her Master of Music from The Mannes College of Music, and her Bachelor of Music at The Hartt School. Judy Handler has presented concerts and workshops at numerous venues throughout the United States including the University of Arizona, Commons Theater in Chicago, the Boston Classical Guitar Society and the Guitar Salon in New York. As co-founder of the Connecticut Classical Guitar Society, Judy helped develop one of the largest groups of its kind in the United States. She performs nationally with her husband, guitarist/mandolinist Mark Levesque. They have received critical acclaim for their CDs, Passion, Two Guitars Live! and Acoustic Blend and are also featured on five CDs produced by the Connecticut Classical Guitar Society. Judy studied under internationally renowned performer and teacher Oscar Ghiglia at The Hartt School, where she received her Master of Music degree, and at the Aspen Music Festival. Judy’s Bachelor of Music degree is from the College-Conservatory of Music in Cincinnati. She has also studied abroad, earning a Certificate from the Vila-Seca Salou Conservatory in Spain and a Diploma of Merit from the Accademia Musicale Chigiana in Italy. Judy teaches and runs performance classes in Vernon, CT.